The exhibition (11 February – 8 April 2018) considers what it takes for people in marginalised positions to speak out and the mechanisms that get used to stop them from doing so. Isaac Julien's That Rush! 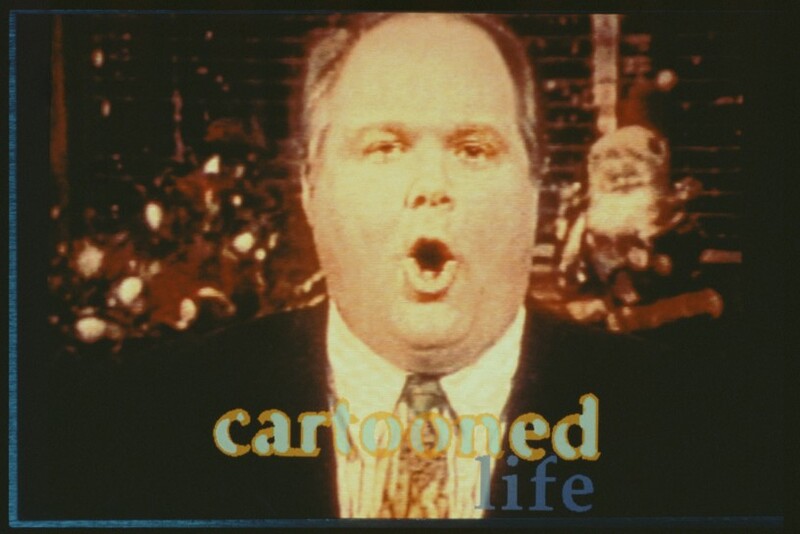 (1995) is a short visual essay exploring the phenomenon of the American "shock-jock" radio and TV presenter Rush Limbaugh. A voiceover from Patricia Williams analyses Limbaugh's strategies as he attempts to ridicule the concerns of the left and to represent white Americans as an "invisible nation". Rarely seen since the 90s, this early gallery work from a pioneering artist seems eerily prescient in the age of a new populist, digitally enabled, right-wing media. Image: Isaac Julien, That Rush! (still), 1995.